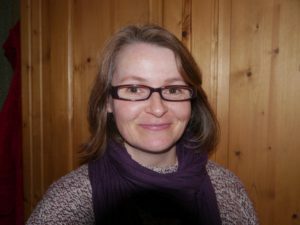 Today I’m very pleased to be hosting the lovely Rosie Hendry on my website so I’m going to start by asking her to tell us a little bit about herself and her writing so far. I live in a village by the sea in Norfolk with my husband and two children and have been an avid lover of books for as long as I can remember, going on to writing stories myself seemed a natural progression from that. I started off with short stories when my children were small and my time limited and gradually wrote longer pieces as my two got bigger and less demanding of my time. My first sale was to The People’s Friend magazine and I went on to sell them many more and wrote a serial for them and two pocket novels. Joining the Romantic Novelists’ Association was the best thing I’ve done, I went through their New Writer’s Scheme and it was at their 2015 conference that I had a 1:1 appointment with agent Felicity Trew who liked my writing, took me on and which led to me writing the East End Angels series. 2) What sort of research goes into your work? A lot! It’s one of the things I love doing so it really is a pleasure to dig into the past. My sources are varied from books, online articles, the brilliant collection of oral histories available at the Imperial War Museum, along with diaries, letters, newspapers from the period and television programmes. One of the best feelings is when I stumble across something that is a gem of an idea for weaving into a story. For instance, Trixie, the little dog that Winnie adopts after she’s dug out of a bombed out building where her owner was killed was inspired by a true story of ambulance crew finding a dog in the same way although they didn’t go on to keep it as Winnie did. I named her Trixie after the dog we had when I was little. 3) What did you enjoy most about writing Frankie, Winnie and Bella’s story? I think it’s the growing relationship between the three of them, they get to know each other so well and are a huge support for each other against all that’s thrown at them. They’re not afraid to tell each other how it is and are a tightly bonded group. 4) What do you admire most about your heroines? Their bravery, they’re bucking against what was expected of them in their social classes and the expectations of women at the time and they show great courage going out in the middle of air raids while bombs are falling and there’s every chance they’ll get hurt or killed by them. 5) Unlike some of the other home front civil defence services there isn’t too much written the ambulance service so how did you research? I started by reading the excellent book ‘The Forgotten Service’ by Angela Raby (perfect title as it sums up how the work of the ambulance service has been largely overlooked) which is a detailed account of the work of Station 39 – this was my go to book and was packed with so much useful detail on the everyday running of an ambulance station from uniform, meals, rotas to incidents. The London Metropolitan Archives have a large collection of papers from the Ambulance Service which were incredibly useful, it was amazing to handle the papers recording actual call outs and felt like I was reaching out and touching the time. I’ve also had some help from people whose relatives were ambulance crew, they told me tales about what they’d experienced, sadly I haven’t been able to find anyone who was an ambulance driver to talk to myself. 6) Your books are set in WW2 but are there any other time periods that you’d like to write about? The Edwardian era, First World War and contemporary too. For the moment I’m staying in WW2. 7) Is writing your day job or do you work at something else? Writing is my day job now, I used to teach part time but gave it up to concentrate on writing the East End Angels series. I’m very happy to now be able to devote my whole working time to it. 8) What goals have you set for yourself at this point in your career? 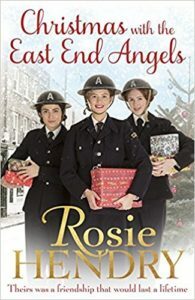 I’ve just finished the fourth and final book (pre-edits) of the East End Angels series and am about to start working on a new series, again set in WW2 but in my home county of Norfolk, so I have a whole new world to build up in my imagination and people with characters, so getting to grips with that is my goal for now. 8) Which authors are you reading at the moment? I read a wide variety of authors and have a tottering TBR pile (actually more than one pile) that just seems to keep getting bigger. I love books by Ann Cleeves, Milly Johnson, Cathy Kelly, Erica James, Donna Douglas, Elly Griffiths and Kate Ellis. I could happily read all day long! 9) Tell us a little something about Christmas with the East End Angels. It really ought to be called ‘Christmases with the East End Angels’ as the book spans from early Dec 1941 to Christmas day 1942. Now the Blitz is over the pace of life at Station 75 has changed, Winnie is struggling to cope with her husband Mac being away and now working for the bomb disposal squad, Frankie is being driven to distraction by her step-grandmother Ivy, while Bella loses a job that she loves. A new character, Rose, arrives at Station who has an impact on them all, including Station Officer Steele who has a tough time in this book. The bombs might not be dropping as they did in the Blitz, but the girls are kept busy and have to face some hard challenges and there’s one that I really had to think hard about putting in, it made me cry writing it but I thought it was necessary for their story, I’m waiting to see what the readers think! It’s the most wonderful time of the year – and the East End Angels are working hard to keep Londoners safe. Frankie is trying hard to keep everything together. She can count on the support of the East End Angels, even in the face of family trouble. Winnie‘s beloved husband, Mac, is putting himself at risk every day in the bomb disposal unit and she’s finding it hard while he’s away. Bella is growing in confidence and happiness. Her friendship with Winnie’s brother, James, is getting closer all the time. Christmas on the Home Front is a hard time with loved ones far away – but the women of the Auxiliary Ambulance service are making do and mending.